Over the past year since my youngest was diagnosed with a wheat allergy, I have tried all sorts of gluten-free flours for baking. Although I’ve had pretty good success with almost all the gluten-free flours I’ve tried, the one flour that has stumped me is coconut flour. Coconut flour does not behave at all like grain flours or nut flours. I’ve had plenty of coconut flour disasters…including wet and mushy muffins and sunken muffins. You all know how I hate throwing food away. 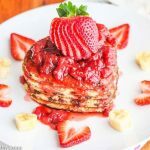 I have to say I had pretty much given up on coconut flour, that is, until Bob’s Red Mill contacted me and asked if I would be interested in developing a recipe using their coconut flour. I responded that I would be interested as long as I could speak to someone in their test kitchen to help me understand how to bake with coconut flour, which they happily obliged. On my call with Bob’s Red Mill’s test kitchen representative, I discussed all the problems I had baking with coconut flour and asked for tips on proportions for various recipes. I’m not a baker nor am I professionally trained, so it was fascinating to hear how each ingredient in a recipe impacted the final baked result. For example, eggs add structure and height, serving as leavening. Coconut flour contains a lot of fiber and absorbs lots of liquid, so it requires a lot of eggs and liquid. Although a batter using coconut flour might appear dry, at some point, coconut flour reaches its saturation point and then the batter becomes wet and dense. Some recipes I had seen used 6 eggs to 1/2 cup of coconut flour. I was concerned about the number of eggs used for health reasons, and learned that using egg whites was more important than using the egg yolks. Egg yolks help bind the batter ingredients; however, applesauce or pumpkin puree can be used to replace the yolk (just make sure you do an equal volume substitution). When I asked about mixing in other gluten-free flours with coconut flour in baking, I was informed that almond flour, brown rice flour and oat flour worked best. If other flours are used in conjunction with coconut flour, then the number of eggs can be reduced. In addition, I learned that the sweetener used in a recipe counts towards the amount of liquid, so if you reduce the amount of sugar in a baking recipe, then more liquids are needed to substitute for the sugar taken out of the recipe. Coconut flour can replace up to 20% of the total flour in a recipe. Liquid will need to be increased by 20% as well. Let the batter sit for a few minutes after mixing so the coconut flour can absorb the liquid. Always sift coconut flour before using. To store baked goods made with significant amounts of coconut flour, wrap loosely in plastic. If no air is allowed to circulate, the baked goods may become soggy. 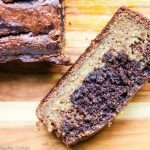 As I was pondered about what to try making with the coconut flour, I found a recipe clipping in one of my cake cookbooks from years ago called Marbled Pound Cake. I haven’t made marbled cake in ages, but have fond memories of making it for church lunches when I was a girl. The recipe was originally from “Spago Chocolate,” by Mary Bergin and Judy Gethers. Ms. Bergin was the head pastry chef at Spago, Wolfgang Puck’s restaurant in Los Angeles, from 1987 to 1992 and is now the head pastry chef at Spago Las Vegas. So, I figured this Marbled Pound Cake recipe had to be pretty good. I made adjustments to the recipe to make it gluten-free and dairy-free. Instead of all-purpose flour, I used a combination of coconut flour, almond flour, brown rice flour and tapioca starch. And in place of buttermilk, I used a mixture of apple cider vinegar and almond milk. The first time I tried my recipe, my flour mix consisted of coconut flour, almond flour and tapioca flour, plus an extra egg, which resulted in a chocolately cake with a bread pudding like consistency. The second time around, I added some brown rice flour to my flour mix, and cut the extra egg out, which resulted in a finer textured cake. My youngest son hovered nearby and couldn’t wait to get a taste. Eaten warm right out of the oven, these Chocolate Marble Cupcakes earned an “A+” rating from my husband, and all my kids loved them. I made these cupcakes another time for a friend of mine who is allergic to multiple foods and I also brought in some samples to our local natural foods store. My friend was thrilled to be able to eat this cakey treat, and I got a thumbs up from the owner of the natural foods store. These cupcakes are being featured on Bob’s Red Mill’s blog and their recipe index. And now for the giveaway! THIS GIVEAWAY IS NOW CLOSED. Bob’s Red Mill is offering one of my readers a $50 gift card which can be used to purchase any of their products, which include a wide assortment of whole grain flours, cereals, meals, beans and seeds, mixes and gluten-free products. I have been buying Bob’s Red Mill gluten-free flours ever since my son was discovered to be allergic to wheat and found them to be of high quality. One winner will receive up to one (1) $50 Bob’s Red Mill gift card that can be used to purchase products on their site. No purchase necessary, void where prohibited. US Residents only. Must be over 18. Giveaway will end on March 30, 2012 at 11:59PM EST. One winner with a valid entry will be selected at random using random.org. Winner will be notified by email and will have up to 3 days to claim their prize or another winner will be selected. Required Entry: For a chance to win, leave a comment below telling us what products you would purchase with your Bob’s Red Mill gift card. Be sure to include your email address so I can contact you if you win. * If you already follow me on Facebook, Twitter, Pinterest and/or Stumbleupon, and/or already subscribe to Jeanette’s Healthy Living, let me know as well, since this counts as an entry. Disclosure: I was provided with samples of Bob’s Red Mill products in order to develop this recipe. However the opinions expressed in this post are my own. 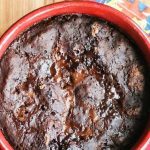 The first time I made this recipe, I used 3 eggs, which made a cake with a bread pudding like consistency, nice and chocolately. With a few adjustments, this recipe is lighter and more cake-like. You can also bake this in a 8"x4" loaf pan for 40-45 minutes. In a small bowl, combine almond milk and apple cider vinegar. Let sit for 15 minutes until curdled. 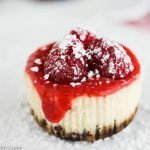 In a medium bowl, whisk together almond flour, brown rice flour, coconut flour, tapioca starch, baking soda, baking powder, salt and xanthan gum. In a large bowl, beat together olive oil and sugar until combined. Add pumpkin puree and vanilla extract and beat until mixed in. Add flour mixture alternately with "buttermilk," mixing well with each addition. Whip egg whites until stiff. Fold into cake batter. Remove 1/3 of batter into a bowl. Add cocoa and mix thoroughly. Stir in chocolate chips. Mixture will be stiff and somewhat dry. 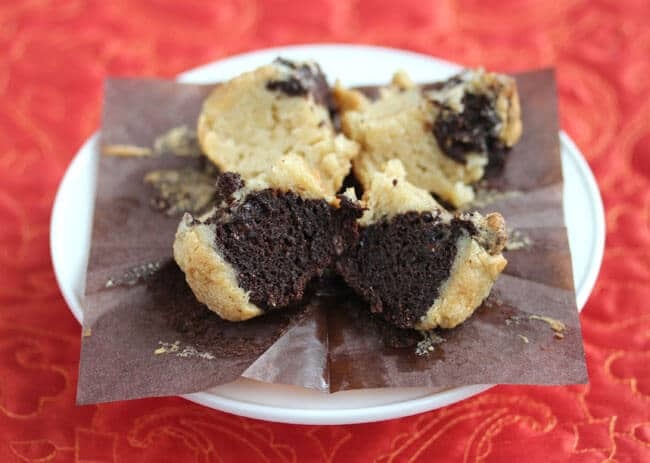 Alternate spoonfuls of regular and chocolate batter into lined muffin tins. Use a knife to swirl and marbleize the batter. You can do this by twirling a butter knife in the batter. Bake for 15-18 minutes until toothpick comes out clean. Remove to rack to cool. these look AMAZING!!! I would love to get some coconut flour and quinoa! i like you and bobs red mill on FB! I would buy a bunch of steel cut oats (my favorite!) and some things I haven’t tried yet – I haven’t actually had many Bob’s Red Mill products, so this would be a great chance to try them! I would love to try some of the soup mixes along with a few of the grains since I’m starting to get into making my own granola! I love Bob’s! I voraciously consume Chia, so I would definitely buy that. And I have been using the Oat Flour because I think it makes my waffles crunchier. I am interested in trying the soup mixes though. I think I have bad lentil memories and should give them another chance! Thanks for the opportunity to win! THese look great! I will have to try these for sure! Great giveaway too! Hope you’re well! I wish they sold those cupcakes because that’s what I want! I would settle for their Oat Bran & Date Nut Muffin mix or the Organic High Fiber Pancake mix. Thanks!! Jeanette, they looks SO GOOD. home cooking so this would be great. I liked Bob’s Red Mill on FB! Jeanette, I, too, now cook for a gluten intolerant partner, so your post was most informative and interesting. The last six months has seen a giant change in the way I bake, and it seems “the treats” are what have been short-changed. Thank you. When I first started baking gluten-free, it was such a challenge. Keep trying, it gets easier. If you check out my recipe index, you’ll find other gluten-free treats I’ve made for my son. I love Bob’s Red Mill! If I won I would buy some quinoa, steel cut oatmeal, flax seed, polenta and waffle mix! Bob’s Red Mill is so much healthier than other brands than add crap to the ingredients. I buy, use, and love a lot of Bob’s Red Mill products. I’d use the gift card to purchase GF rolled oats, oat bran, shredded unsweetened coconut, tapioca starch, potato starch, buckwheat groats, all-purpose GF flour, pizza crust mix…and more! Would definitely load up on all of the varying flours I possibly could and some quinoa and spelt! Cupcakes look incredible and learned a ton by reading your blog post. Thank you so much for sharing! Like and shared post on pinterest. I have just learned that I (at age 27) have a wheat allergy! I have baked my own bread for years…using wheat flours of course! I would buy wheat-free flours so I can develop/try some new recipes. 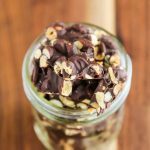 This recipe looks amazing!! I’ve been experimenting with different gluten-free for about a year now. It takes some time to find the right blend that you like, but I think mixing different gluten-free flours produces the best results. Love Bob’s Red Mill, and would stock up on their flax meal, TVP and wheat gluten! I love this recipe!!! I’d buy almost flour and loads of tapioca flour( which, incidentally they use in Brazil a ton). Bob’s is legit. Love it! I could use lots of Bob’s Red Mill products like rolled oats and flour. Thanks! I regularly use Flaxseed Meal, Coconut Flour, Buckwheat Pancake Mix, Garbanzo Flour, and I am currently out of Creamy Buckwheat Cereal. I just had the Gluten-Free Brownie mix, and they are awesome. I would like to try the Scottish Oatmeal next; I have been reading recipes about how to shorten the AM cooking time. I use many more of Bob’s Products than I mentioned; I’m an huge fan. I use Bob’s Red Mills Gluten-Free Oats, All-Purpose gluten-free baking mix, xantham gum, flaxseed meal, almond flour … and more! And I use them all the time! Would love to try coconut flour since I keep hearing more about it. Liked you on facebook, already like Bob there as well, i pinned ya, but I don’t twit. I will sign up for your emails as well! I am a self-diagnosed gluten intolerant…i felt great after going gluten-free, but needed to eat it again to be properly diagnosed by a gastro later in the spring…can’t wait to get it outta me!!! By the way, I already follow Bob’s Red Mill on FB, and I’m adding you right now! I absolutely love Bob’s Red Mill organic flours. Whole wheat, all purpose. That’s what I go through, and through and through. Hehe. I would buy quinoa flour and some granola. I liked you and Bob’s! signed up to follow you on pinterest! ALL of Bob’s products are top-notch. Love his oats, his flours and GF mixes. Just all around great stuff! With the gift card i would buy gluten free products, i love Bob’s mixes for bread especially the hearty grain! i would get the gluten free baking mix bundle! I would definitely buy the oats, and any of the other grains. I love the products that Bob’s has available. I would use the GC to purchase a ton of the all-purpose baking mix. I use that for everything and I actually enjoy the taste! I was JUST looking at Bob’s coconut flour at Whole Foods. I was sooo interested, but I didn’t buy it because I had no idea how it would work in recipes Now I know, you have allayed my fear!!!! 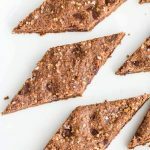 I love making crackers, flatbreads, (and many other baked goods) but I find it easy to use all kinds of grains, seeds, flours, etc., in crackers, that I love to use with salads and just snacking!! First, I would buy organic coconut flour, also, malted barley flour, golden masa harina flour (for tortillas), black bean flour, organic graham flour, hazelnut flour meal, organic pumpernickel dark rye flour, wild rice. Umm I’m having a hard time stopping, but I already use many of Bob’s Red Mill products, Whole Foods is a few blocks from my home, and I go straight to the baking isle to Bob’s every time, almost every day! This is like a dream come true for me because I have been eating organic fruits and veggies for about a year, but have just started purchasing the flours and grains to make my transition more complete! This $50 gift card would go a long way in helping me purchase Bob’s organic flours…. like coconut, whole wheat, brown rice, buckwheat, etc. thank you for offering this!!!! I have “liked” Jeanette’s Healthy Living in addition to my original entry. I am so excited to find that FB page!!!! I have “liked” Bob’s Red Mill on FB!!! I have started purchasing some of his flours and am really excited about his FB page!!! Thank you for this opportunity!!! I have signed up for Jeanette’s email!!!! What a wonderful way to learn even more about healthy eating!!!! Thank you for this fabulous contest!!!! I would love to try Bob’s Red Mill soup mixes and some quinoa! Thanks for the great giveaway! Following on Pinterest too thanks so much for the great giveaway! I’d love to get some rolled oats or oatbran, and some almond flour for sure. So many great options to choose from. The GF baking mixes also caught my eye. Those cupcakes look so yummy! “Like” you and Bob’s Red Mill on Facebook. Follow you and Bob’s Red Mill on Twitter! Follow you on Pinterest and pinned the post! Stumbled the post and follow you on StumbleUpon. I’m so thankful you posted this post on coconut flour. I’ve not had the best of luck, and had pretty much given up using it, but I hadn’t really done my research with the product. Your information here has given me the inspiration to try again for a hopeful success! And I’m thinking that if I just try your recipe first, I’ll have a better idea of how it all works. Thanks for the tips! Bob’s Red Mill is one of my favorite vendors, but I’m low on Flax meal at the moment so a gift card would start there. Awesome giveaway! Oh my gosh which of their products wouldn’t I get?! I’ll probably try and look outside my box and try a few new flours with a lot of graham flour thrown in for good measure. I would definitely buy some coconut flour. I would also purchase Gluten Free Vanilla Cake Mix (multiple bags – this is my most favorite cake mix ever), Gluten Free All Purpose Flour, Gluten Free Oats and Gluten Free Mighty Tasty Hot Cereal (which is, indeed, mighty tasty!) If I still had $$ leftover, I would also buy Teff flour or a grain I’ve never tried before from Bob’s. They are awesome. I got a tour of their gluten-free facility last month in Portland and it is truly exceptional. I would definitely buy some coconut flour. I would also purchase Gluten Free Vanilla Cake Mix (multiple bags – this is my most favorite cake mix ever), Gluten Free All Purpose Flour, Gluten Free Oats and Gluten Free Mighty Tasty Hot Cereal (which is, indeed, mighty tasty!) If I still had $$ leftover, I would also buy Teff flour or a grain I’ve never tried before from Bob’s. They are awesome. I got a tour of their gluten-free facility last month in Portland and it is truly exceptional. P.S. I signed up for your newsletter! I would try the chia seeds and hemp seeds. Cupcakes look great! Following on Pinterest – thanks for your great giveaway! i would buy all the gluten free flours, and the cake and brownie mixes. I just stocked up on many products this past month so I wouldn’t mind reading People for Profit and trying something new like the almond or coconut flour. I’d use the gift card to get some TVP or coconut flour! I love Bob’s Red Mill- I’d definitely buy a whole lot more potato starch and bulgur wheat with that gift card! I’ve been experimenting with coconut flour quite a bit and you’re right it can be tough! I’d love to try Bob’s Red Mill’s coconut flour, I already use their almond flour and have been happy with it. I would get their almond flour, coconut flour and some ground flaxseed. GF treats are life saver treats! I am so thrilled to try this. p.s. I already subscribe to have your posts sent to my email. Thanks! Though I don’t need to bake without gluten, I’ve been meaning to try my hand at baking with coconut flour! These muffins sound so tasty! I would like to try Peppy Kernals! I just recently was diagnosed with dairy and egg intolerances. I would buy xanthan gum and egg replaced from Bob’s Red Mill. I have been learning ways to substitute eggs in baking but the egg replacer would be good to have on hand. Theresa, try using a mixture of ground flaxseed or chia seeds and water as a substitute for eggs. Jeanette, Beautiful cupcakes…so moist and yummy looking! Nicely done! Loving these marbled cupcakes Jeanette ~ happy to share them with my gluten free clients… they look wonderful too! 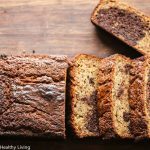 What wonderful tips–I don’t understand the science of baking but your post made me want to try to bake with coconut flour. Your cupcakes look great, Jeanette! Both my wife and oldest daughter were recently diagnosed with Celiac, and I’m going through the pains of having to learn to bake all over again. I’ve got most of the core flours/grains, but haven’t attempted to play with coconut flour yet. This would be a great opportunity to try, and even if I don’t win, I’ll be sure to give this a test-drive. I have a whole assortment of gluten-free flours and have experimented with lots. I’ve found mixing a variety of flours works really well. You just have to play around with the ratio of flours to starches to get the desired consistency. Like me and Bob’s Red Mill on Facebook: Done! Follow me and Bob’s Red Mill on Twitter: Done! Follow me on Pinterest and pin this post: Done! Sign up for my Email or RSS Feeds: Done! Tweet this giveaway, being sure to include my Twitter handle (@JeanettesHealth): Done! I would get some of their hot cereals and soup mixes, those are great! My son recently started eating gf so I would get some of the different flous and the xanthan gum because it is SO expensive! Awesome giveaway! I am already a big fan of Bob’s couscous, flax seed and 5 grain cereal, would love to try more of their products! I would purchase gluten-free pastry mix, gluten-free cornbread, almond flour, and maybe some new things too! I am a fan of Bob’s Red Mill on Facebook. I would buy almond meal and tons of whole wheat flours! i am totally bookmarking this recipe. i don’t bake much with coconut flour either, but these are some excellent tips! hehe getting an A+ from your hubby must mean its a good thing! I would stock up on ground flaxseed, whole wheat flour, a sampling of some other flours, as well as some of their rice and cereal products. Jeanette, this is such a generous giveaway. These cupcakes look great! I would choose flax! I am trying to add a little bit to all my baked goods for a bit of nutritional punch! semolina flour, and almond flour! I would get the 13 bean soup mix and the potato bread mix. I like you and Bob’s Red Mill on Facebook. I’d love to try the coconut flour–and also quinoa flour. The cupcakes look yummy! 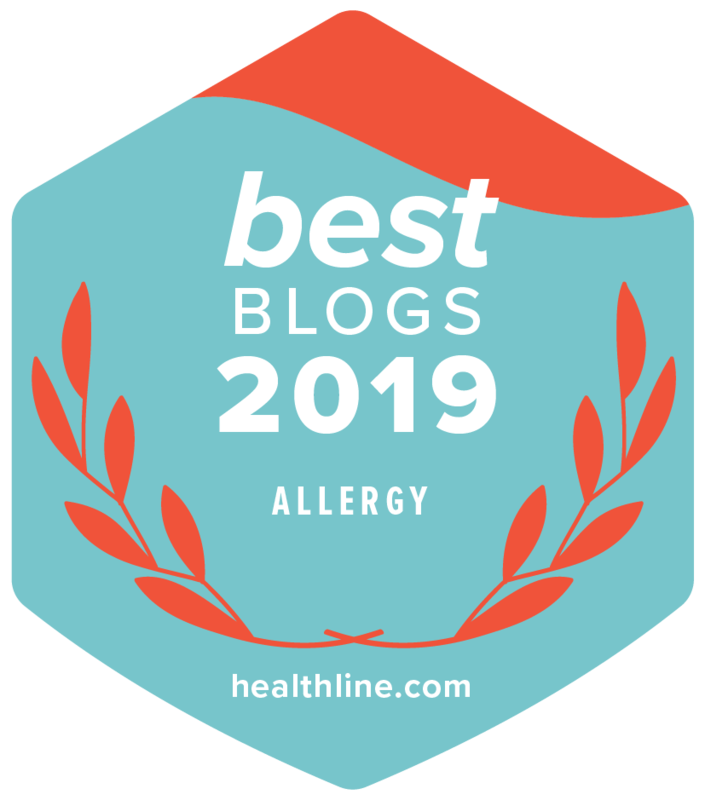 I have tried some of the more common Bob’s Red Mill products and have learned about a lot more that I will have to try – all except the corn products as I am allergic to corn. I am a huge Bob’s Red Mill fan! I love their cous-cous, chia seeds and steel-oats. Were I selected for the prize I think I would use it for not only these products but also for some of their dried fruits, flax seed and maybe some coconut/almond flour. I would try the steel cut outs out. I like the flax seed and oat flour. Would love to try more of the mxes if I win. I love Bob’s Red Mill! Thanks for the giveaway. I love their Yellow corn grits by the way I love all their products. Those look amazing Jeamette! I will have to try them since cupcakes are my favorite. Hi Jeanette. I have been following you for a little while now. I just followed you on all of the above, but I’ll leave a post for each entry. I was diagnosed with Type 2 Diabetes about 8 months ago and am learning all about new ways to cook, eat and live. Now my husband has been diagnosed with high cholesterol and I definitely will be cooking quite healthier. So I will be using the gift certificate (if I win) on Bob’s Red Mill Oats. 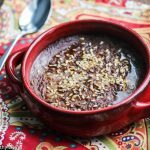 I was my try a few recipes to see if I can get some kind of oatmeal into my husband to help with his cholesterol. I already eat oatmeal and always have, but now I eat healthy oatmeal. Anyway, thanks for your blog and I love your recipes. I subscribe to your RSS feed and just signed up for your email delivery. I follow you on Stumble, but haven’t used that site a lot, so I’m new to it. I’d get almond meal and coconut flour. I’m a twitter follower (LuckyDuckyToo) of both. I’m a FB fan (Mari Doug) of both. Delicious recipe and beautiful presentation! That would be a perfect dessert for any party! Good for you to investigate cooking with coconut flour. I have had frustratings with not being able to use eggs. My son can’t tolerate the protien in egg whites. When I bake with coconut flour and try substituting eggs, with egg replacer, it is a dense compacted muffin. Great job on following through and trying to figure out what works. My child can’t tolerate any chia seed or flax, we have tried that as well as egg replacement,. 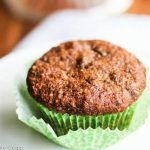 Coconut flour is tough to use if you can use eggs – I’ve also found that egg replacer doesn’t work not does homemade egg replacer made with chia seeds or flax seeds. If your son can tolerate nuts, almond flour works really well; otherwise using a mixture of gluten-free grain flours also works better with egg substitute. I love our blog and will be adding yours to my favorites list to follow. I was wondering if you could tell more about what you learned from Bob’s Red Mill test kitchen staff about other gluten free flour alternatives and their properties/function in baking. I am an avid baker and new to gluten free baking. I am also diabetic so I am struggling to figure out how to make a low carb gluten free baking mix that functions as close to wheat flour, it that’s even possible. Thanks for any help you can give. Hi Debra – I actually only spoke with Bob’s specifically about how to use their coconut flour. They suggested that I mix it with brown rice flour and almond flour for a lighter texture. I’ve found almond flour (which is low carb) works really well in baking. King Arthur is very responsive to emails, so I would suggest you write them with your specific questions. I’m sure they would be more than happy to help. Would love to hear what they suggest for a low-carb gluten-free baking mix. 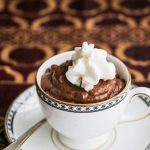 My friend Carolyn from All Day I Dream About Food does a lot of low-carb gluten-free baking – you might want to check out her recipes too.